Congratulations on your purchase of the Ricmotech LC500 load cell brake kit for the Thrustmaster® T500RS pedals. This guide will take you step-by-step in performing the installation. Please read the entire instruction guide and familiarize yourself with all the steps required. Obtain all the tools needed to perform the installation before you begin. There are variations in the manufacture of these pedals and the instructions may vary from the pedals you have. Before you begin, unplug the pedals from the wheel. Do not perform this installation on statically charged surfaces such as carpets. 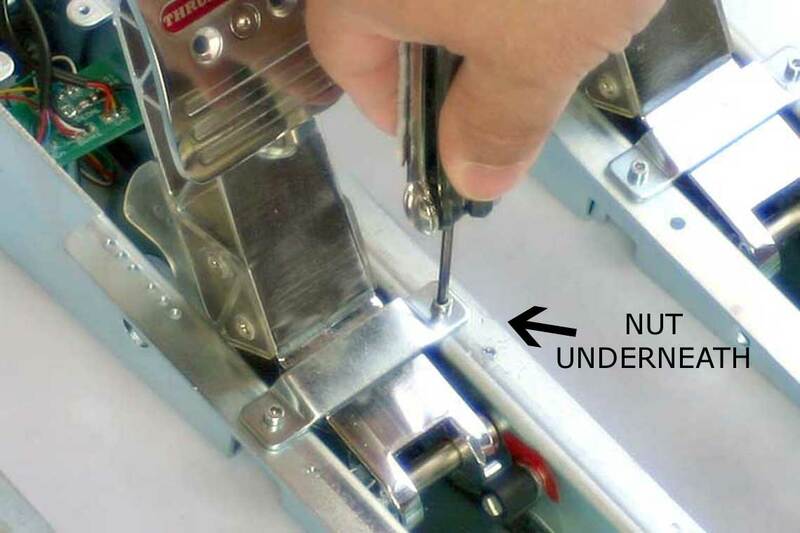 The metal parts inside the Thrustmaster® pedal assembly may have sharp edges, please take the proper precautions. 1. Attach the load cell to the lever plate as shown above. Mount the load cell capsule using the 2 smaller screws provided. 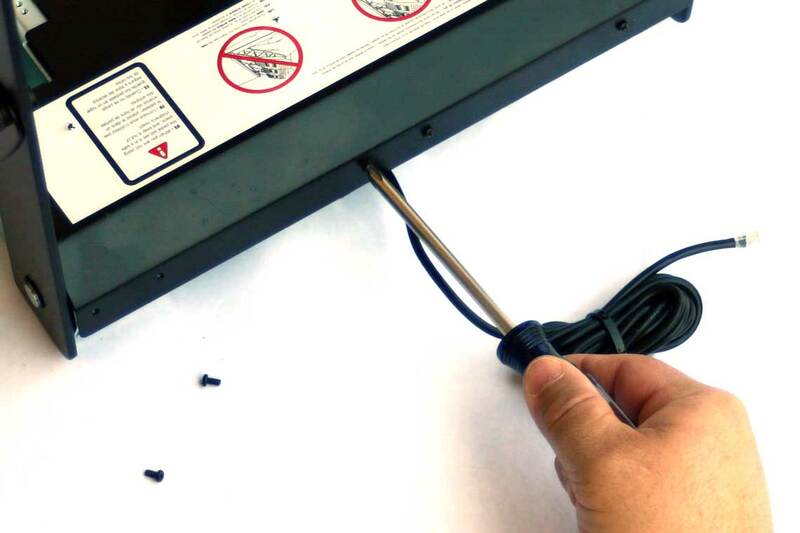 Do not over-tighten the screws as this may break the plastic mounting tabs. Be sure the wire exits out the away from the plate. Mount the washer to the other side of the plate and secure with the larger hex drive screw. The washer may be removed to increase the pedal dead zone, but the screw must remain in place. Set the assembly aside for now. 2. Coil up the pedal cable as shown above by wrapping it around three fingers. Using one of the long wire ties provided, secure the bundle as shown. 3. 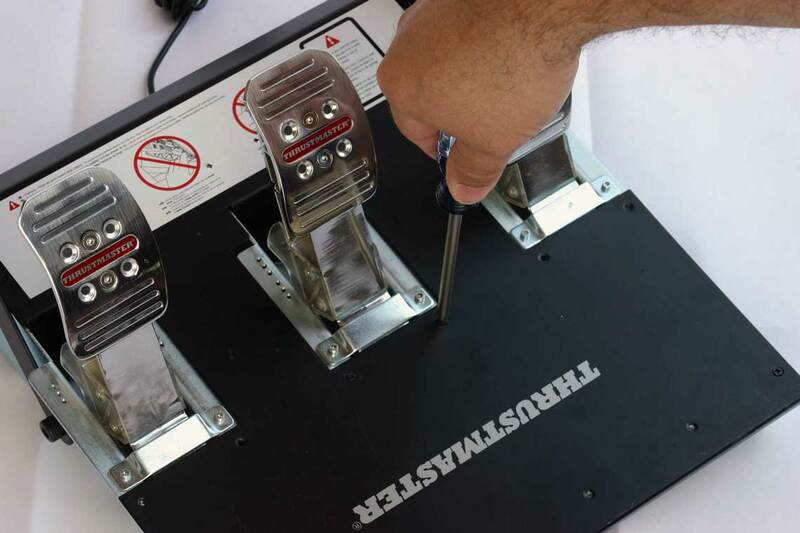 Using the 2mm hex wrench, remove the heel plate if your pedals are set up for “F1 Style” arrangement. There should be 4 screws securing the plate as indicated above, there may be extra holes which are left empty. There may be wing nuts securing them from underneath. Place the hardware in a bag and label the bag “heel plate”. Set the heel plate and the bag aside. 4. Remove the 6 black screws at the back of the pedal assembly. Place the screws in another bag and mark them “back screws.” Set them aside. 6. 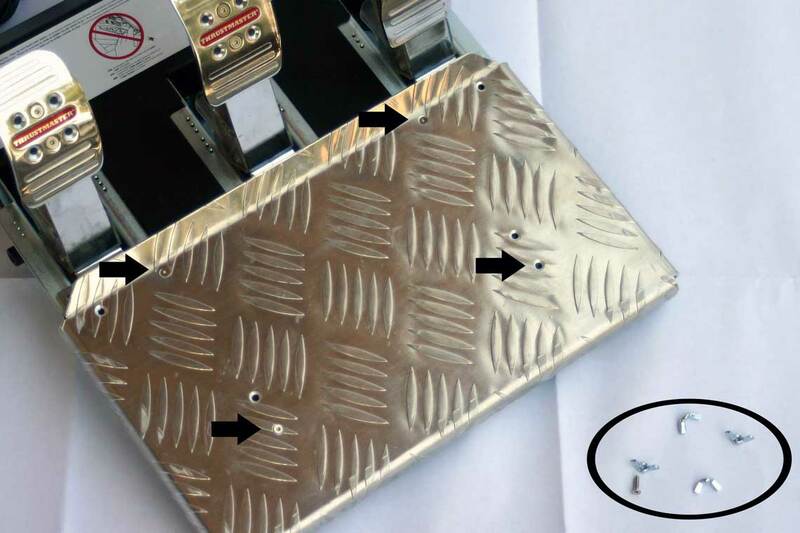 Remove 10 more exposed screws at the top of the cover plate and add those to the bag marked “top screws.” The cover should now lift off, lift the front first and then ‘unhook’ the cover from the back. Set the cover and bags of screws aside. 7. Remove the screw from one side of the brake pedal hold down bracket. There may be a nut securing it from underneath that may need to be removed first. 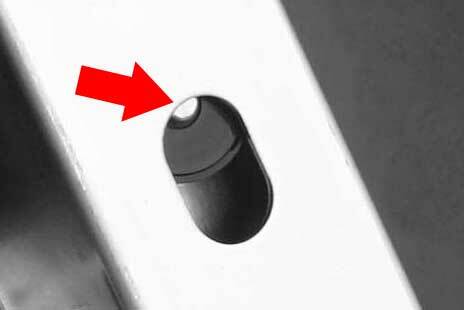 Then loosen the screw on the other side, there is no need to remove the second screw completely. Swing the bracket clear and temporarily place screw and nut back on bracket as shown below (black arrow). 8. 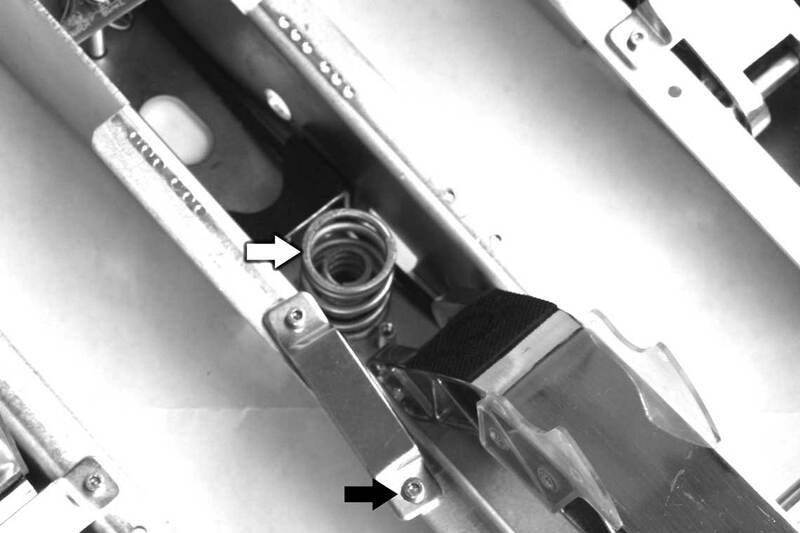 Swing the pedal forward and remove the 2 springs (white arrow). Place the springs in a bag marked “original brake pedal parts.” These will not be re-used. 9. Remove the pedal stop by lifting the rubber pad from one end to expose the screw (black arrow). 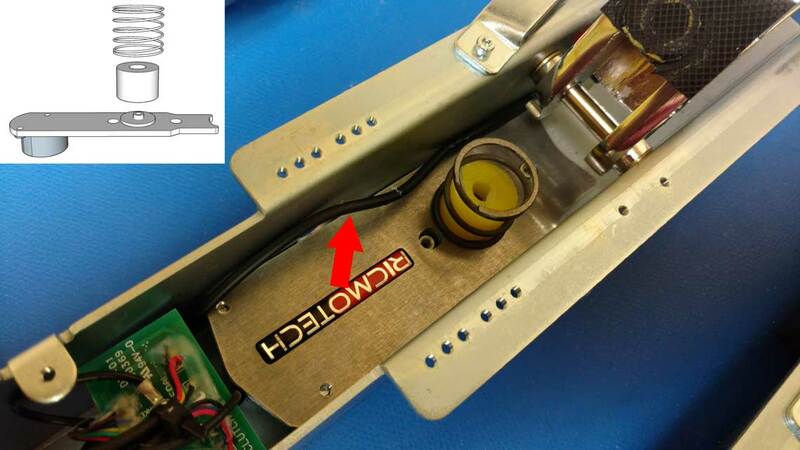 Next remove the plastic spring perch (white arrow) by removing the screw from the underside. Place these parts in the bag as well. 10. The pedal should now look like the image above. 11. Position the load cell bracket that was assembled earlier into the pedal housing by sliding the end without the load cell under the brake pedal and dropping it over the 2 posts (white arrows). Run the existing cable over the load cell plate. 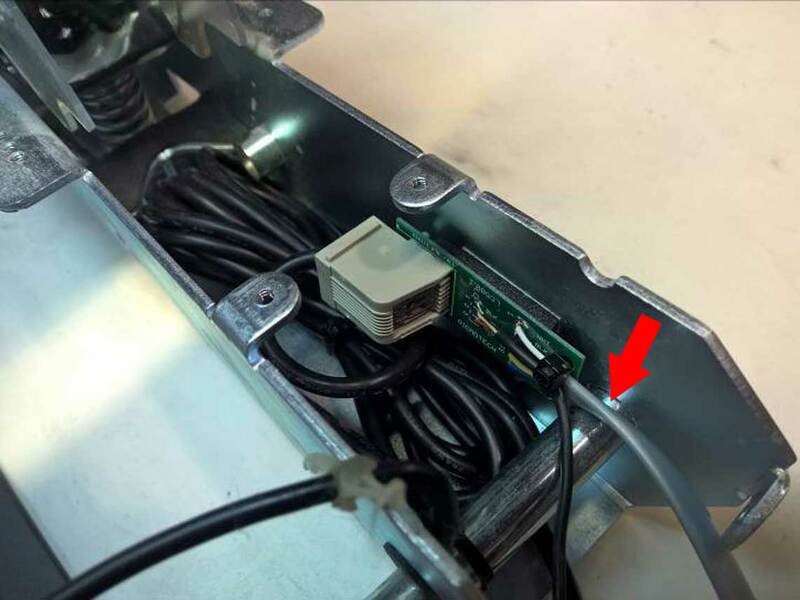 Lower the back end of the bracket while manipulating the wire around the circuit board. Then lift up slightly on the load cell end to be sure it was not caught on the cutout at the bottom of the pedal assembly. Position the Urethane bumper (yellow=soft, green=firm) over the screw head and the spring around the bumper as shown. Use some grease from the original spring and smear it on the top of the bushing to prevent squeaks in the future. 12. Using a small wire tie, secure the load cell wire to the wires leading to the gas and clutch pedals (white arrow). 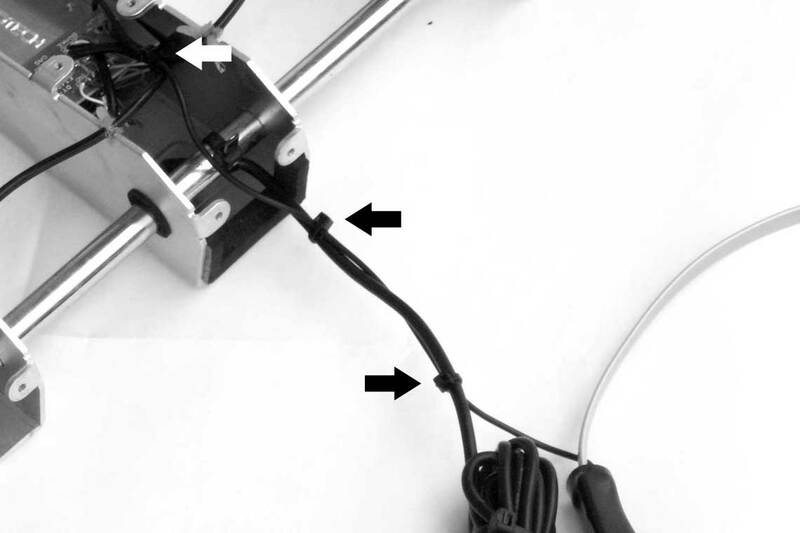 Using 2 more wire ties, secure the load cell wire to the thicker pedal cable as shown (black arrows). 13. 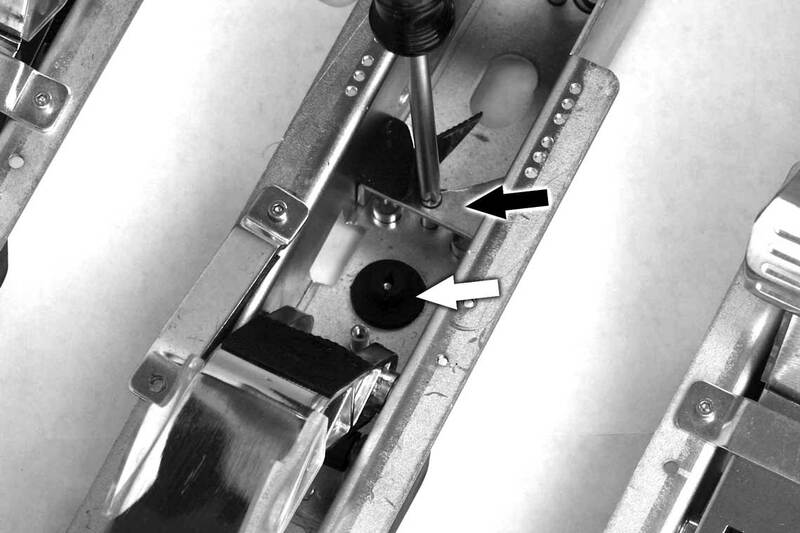 Flip the pedal back to its normal position making sure the potentiometer engages the pedal properly (black arrow). Even though the potentiometer will not be used, you do not want it to bind. Secure the pedal hold down plate using the original screws. 14. Temporarily turn the unit over and insure the load cell is positioned as shown above. 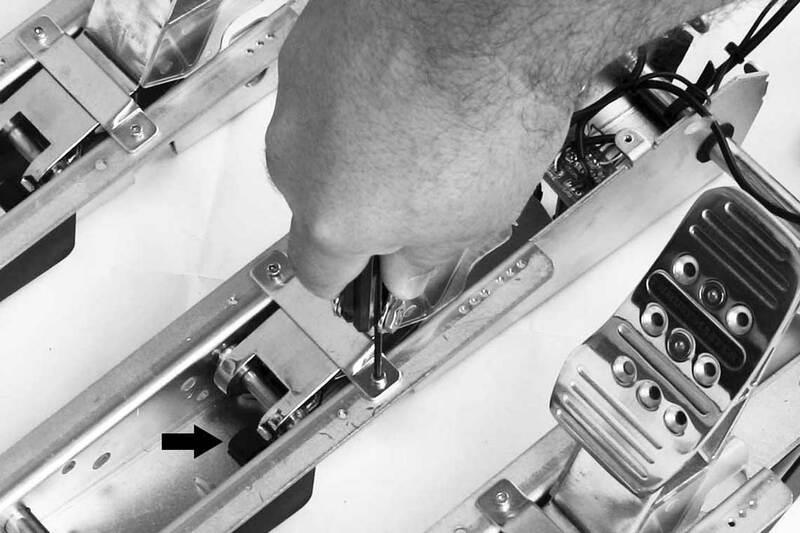 If the metal nib on the load cell is not resting on the edge of the pedal housing as shown, move it into position using your finger. 15. Coil the original pedal cable (round cord) and bundle with a tie-wrap provided. Insert the bundle into the clutch pedal and use another tie-wrap to secure it in place. Make sure the moving parts of the pedal do not rub against the cable. 16. 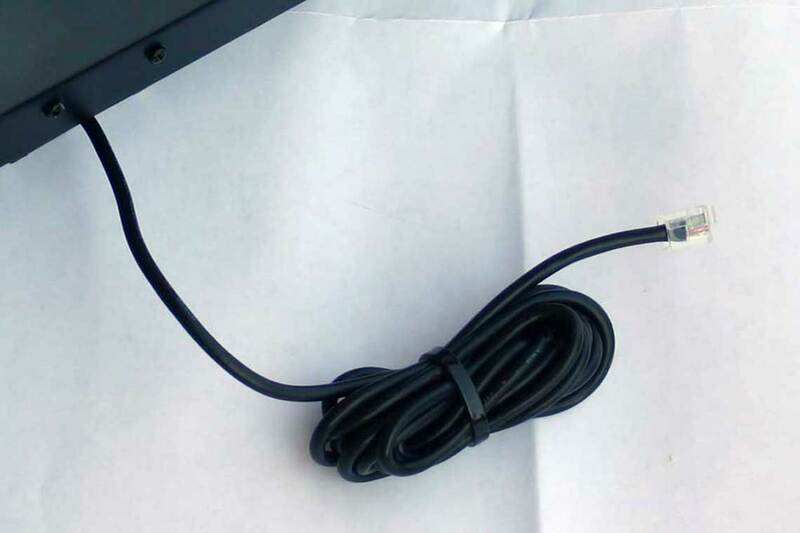 Plug the original pedal cable into the pass-through adapter and secure it inside the clutch pedal as shown. Use a tie-wrap where indicated by the arrow to secure the new pedal cable (flat cord). 17. Place the top cover over the pedals, hooking it at the back first. The center pedal may have shifted to the side and may need to be centered in the opening to align correctly. Make sure all the wires are in their correct positions so they do not get pinched. Some of the glue originally used may have come undone. Loosely re-install the 14 screws previously bagged and labeled “top screws” on the top of the cover plate. Then loosely re-install the 6 screws bagged as “back screws” to the back of the plate. After all screws are loosely in place, tighten everything down snug. 18. If previously removed, re-install the heel plate using the screws bagged as “heel plate”. We have discovered that a small percentage of early T500RS pedal units sold in Europe and Asia have a design difference. These units had a press-fit spring post rather than a plastic screw-on style spring post. The spring post on this unit requires cutting it shorter to clear the lever plate that is part of this load cell kit. Please look at the pictures below and if your pedals look like the ones shown, most users that have encountered this have cut the post with a Dremel tool or drilled it out completely. If your brake pedal looks like this from the bottom . . . ADJUSTMENTS There are two urethane bumpers provided, the yellow is softer and the green is firmer. You may use whichever you prefer. It is normal for the pedal to increase travel slightly after a few hours of use. Also, you may remove the washer underneath the urethane bumper if you prefer to have additional soft zone. IMPORTANT You must re-calibrate the brake pedal in the Thrustmaster driver and in your simulation game for proper operation. Contact us if you have trouble getting the pedal to work with some games. Calibration Procedure You must calibrate the pedal to 100% maximum force. With the calibration software open, press the brake pedal hard and then back off just a bit. If the software indicator did not stay at 100% then you should press the pedal again harder and back off just a bit. Repeat until the indicator does not drop when you back off a little bit. Warning: Do not stomp or beat on the brake pedal. The load cell is designed to handle several hundred pounds of force without loosing accuracy, but stomps, kicks and hammer blows can easily exceed the safe limits of the load cell. The load cell is not warranted against failure from excessive force. 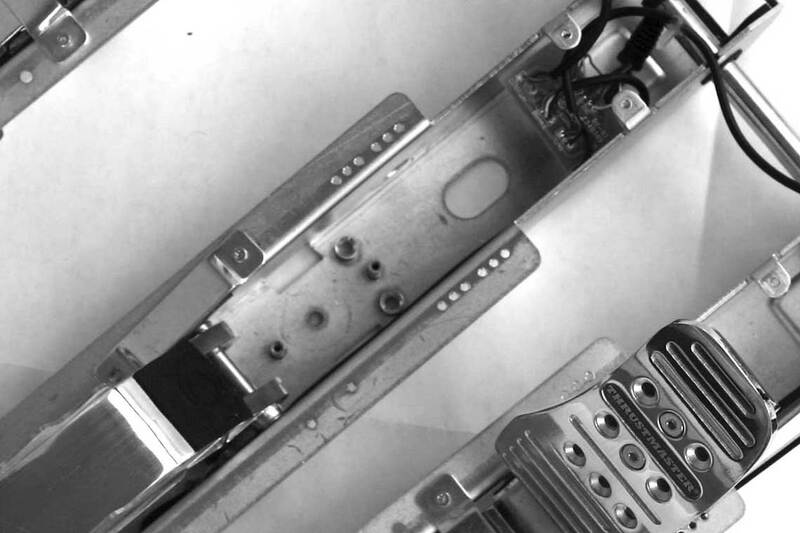 Ricmotech strongly recommends hard mounting the pedals to your sim-rig. A rigid mounting without any flex will help you get the most out of the LC500 and give you the best improvement in your racing performance. To hard mount the Thrustmaster® pedals you will need 4 M6 metric bolts, their length depends the thickness of the mounting surface. Do not use long screws to hard mount under the brake pedal. This could contact the underside of the load cell plate and result in abnormal readings. The LC500 load cell upgrade kit has been engineered to replicate the feel and reaction of a real race car brake system. To get the most from your new load cell you should keep the following tips in mind. Your brake will now have about 1 inch (25mm) of travel. There may be a small dead-zone, use this as you prepare to brake so you can feel your way onto the pedal before actually performing any braking. Small amount of force after that will shift the car’s center of gravity toward the front and increase traction at the front. Once the vehicle’s weight is on the front wheels you can apply more braking force without putting the car into an under-steer condition. At this point, the brake will feel like you are pressing on a brick and will respond to how hard you press on it. This replicates what happens after the brake pads are in full contact with the brake rotors and there is no further movement of the brake components. At this point the brake pedal will remain at a constant height. This facilitates proper heel-toe down-shifting since the brake is kept at the same height regardless of how much braking force you need to apply. By keeping these principles in mind your braking should become more consistent and you will then be able to brake later, get closer to the edge of the track, and eventually go faster in the turns. Your lap times should improve by giving you better control over the vehicle’s brakes. Happy Racing! 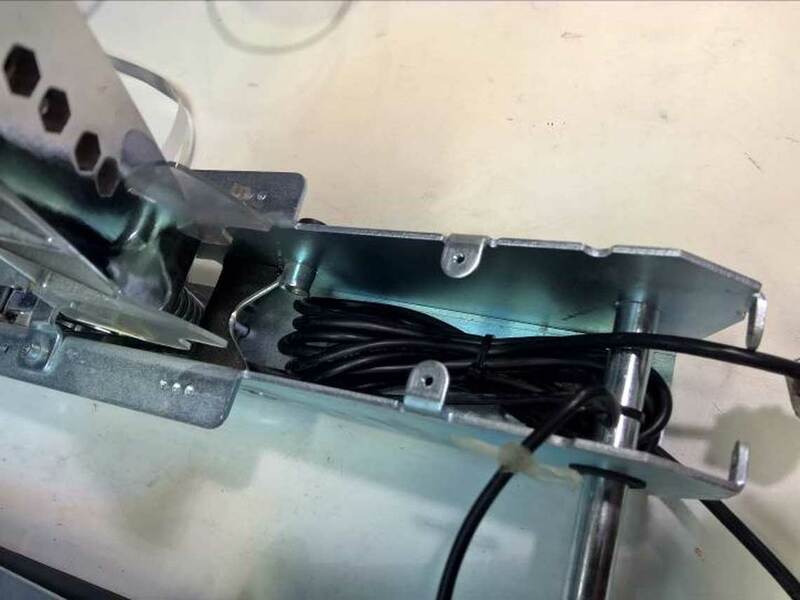 Notice: Ricmotech is not responsible for any damage you may cause to your Thrustmaster® pedals during the installation of the LC500 load cell assembly. Installation of this load cell may void the original manufacturer’s warranty. 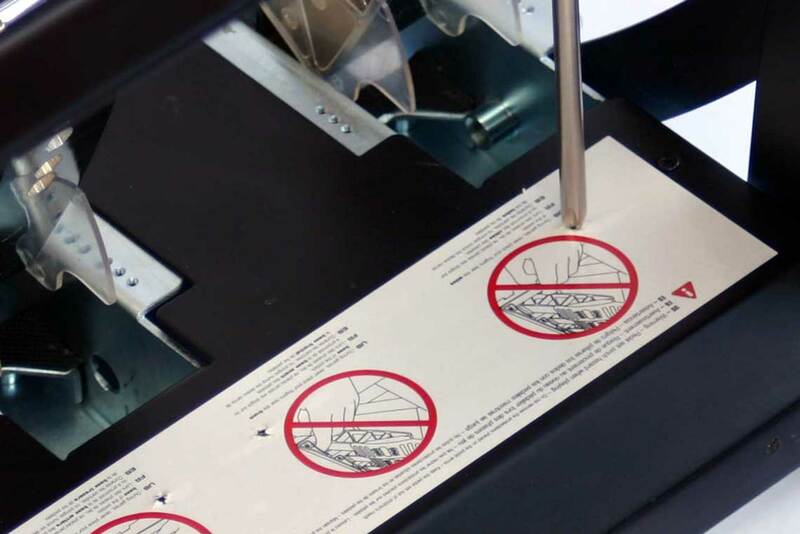 Every LC500 is tested for proper operation before being sent out. Need Help? If you run into any problems during the installation of the LC500 please contact us directly at tech support at (305) 417-9241 or via email by clicking HERE. Due to constant improvements to our products, the product you receive may vary slightly from the product shown in the illustrations. 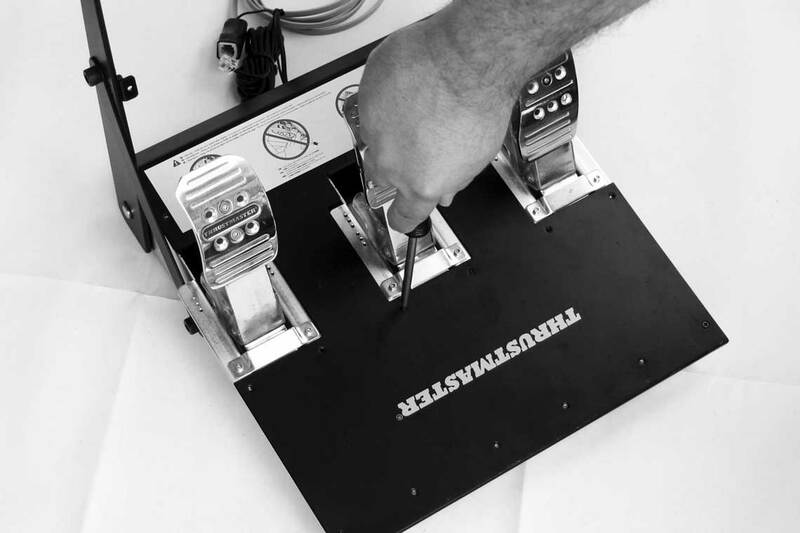 The brake pedal is very sensitive: Verify the load cell is properly positioned on the pedal frame as shown in step 14 of the installation instructions. 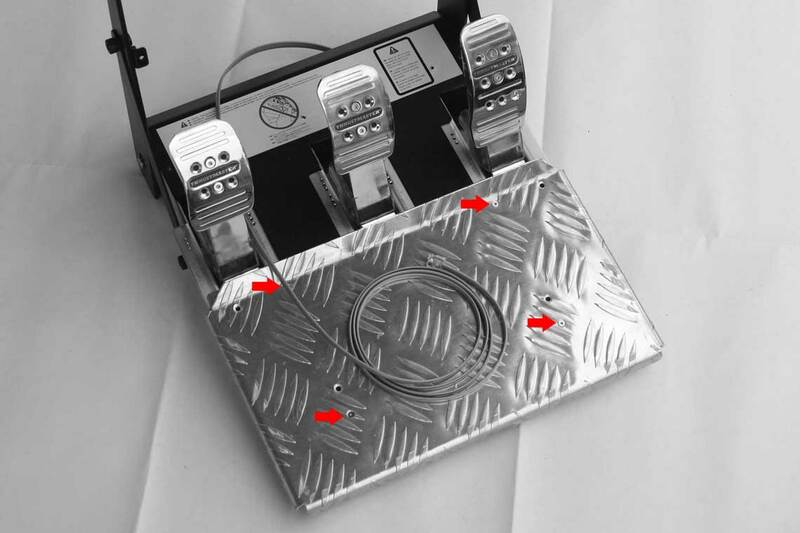 The brake pedal is hard to press and barely moves: Verify the hard mount screws under the brake pedal are not too long to make contact with the load cell plate. The brake pedal becomes harder to press throughout a race: Press the pedal hard each time the wheel is restarted and before a race or calibrating in-game. One or more pedals do not reach their full range: Plug the pedals into the wheel before powering up the wheel, do not unplug the pedals while the wheel is powered. Thrustmaster®, T3PA-PRO and T500RS are trademarks of the Guillermot® corporation and the terms are used for reference purposes only. Ricmotech and the LC500 load cell kit is not affiliated with Thrustmaster®.